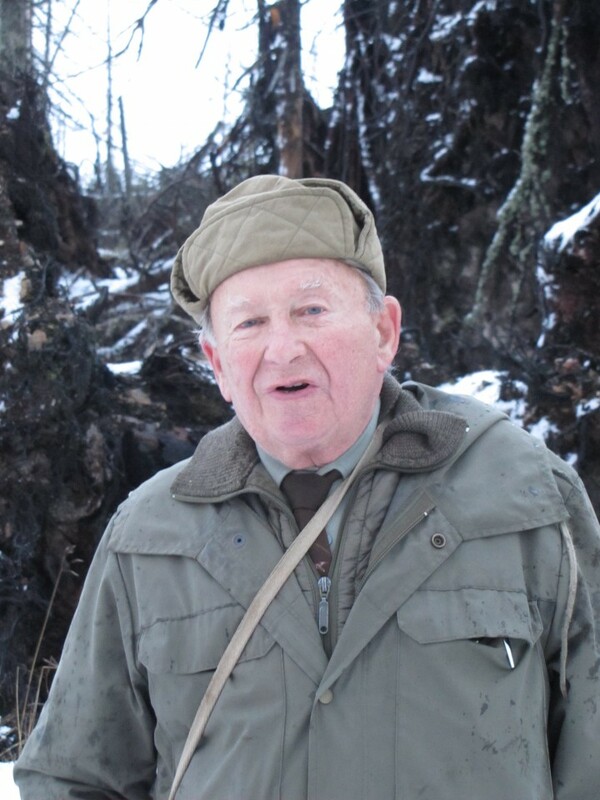 Boy Scout, (10th troop in České Budějovice), guide and courier, František Zahrádka, starting in 1949, was guiding refugees across the border of Czechoslovakia. Moreover, he took part, within a resistance group called “In the name of truth,” in making and distributing anti-Communist leaflets. 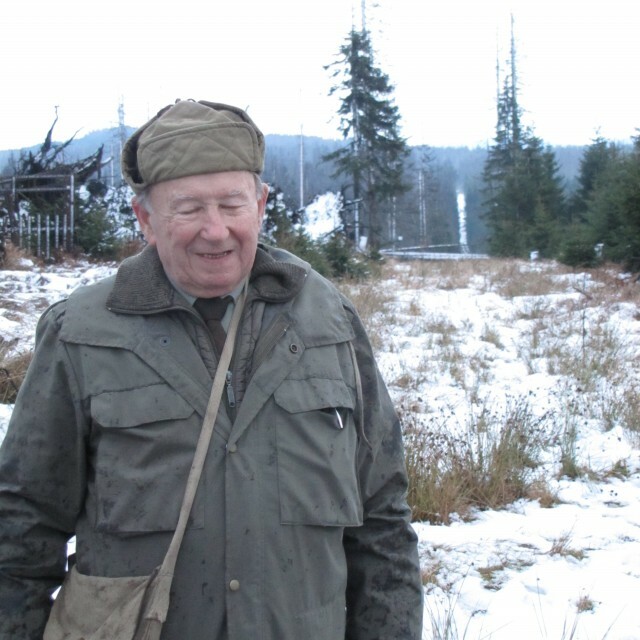 He carried out the first two journeys across the border in January and May 1949, and during these occasions he guided Boy Scouts from České Budějovice and the Bohemian-Moravian Highlands. He himself always returned from the border back to the inland. Due to a worsening safety situation in the area of Stožec and Nové Údolí , he decided to use a new route for his other transits, leading past mount Poledník in Šumava. The route of the transit on foot took all night and started in Rejštejn. During the journey, František Zahrádka gradually collected individual refugees and continued with them along the river Otava in the direction of Přední and Zadní Pašta, Stodůlky, Velký Bor, and border mountain Poledník. In the summer of 1949, through this path, which actually copied an old smuggler’s path, he carried out two successful transits. During the first transit, circumstances forced him to leave for Bavaria, where he established liaisons with the American CIC, for which he started to work as a courier. 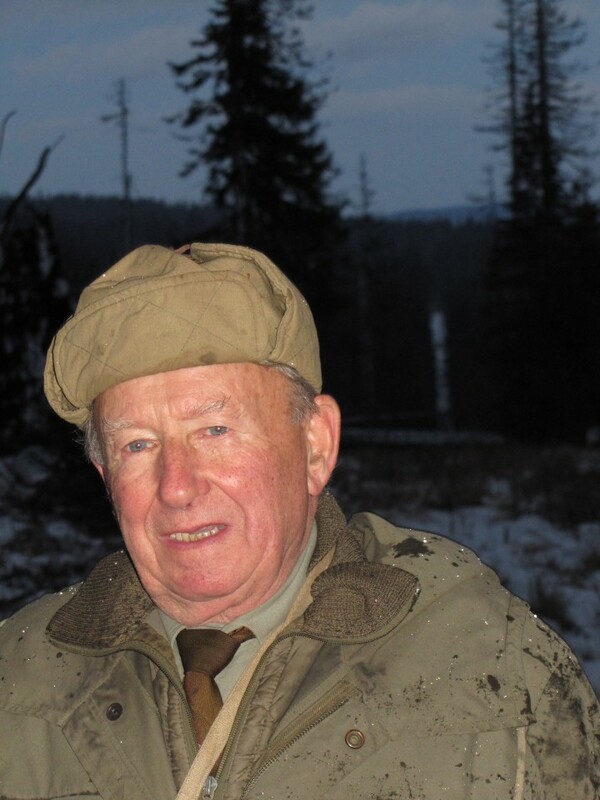 František Zahrádka was born October 30th, 1930 in Děčín. His mother Kristýna Zahrádková, born Dominová, came from a family of eight children, and was employed as an assistant worker, for example in brickworks. His father František Zahrádka fought with the legionnaires in Italy. After his return, his 32nd artillery regiment was moved to Slovakia, and the father sustained a leg injury during a fight with Hungarian Bolsheviks there; since that time he has been partly handicapped. He managed to find work as a lower-level railways employee, and the family thus had to move frequently whenever he was transferred to other posts. Also, František´s younger brother Luděk was born while the family lived in Děčín. 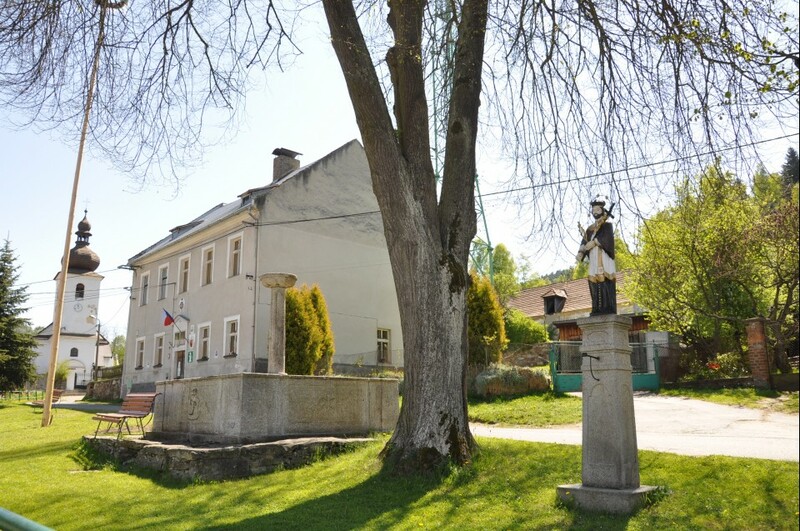 František started to attend elementary school in Meziměstí near Broumov. Till 1937 he had been growing up alongside German children there and did not feel there would be any tension. Problems started in 1938 and culminated on one October night, when the whole family was driven out of their home. Before the war began, his brother Luděk had a serious accident when he was hit by a car. His mother suffered a mental collapse due to the affliction of the last months, and moreover, his father was transferred to the Svitavy region. Young František thus stayed alone and lived with a family of strangers in an abandoned railway car. An old bathtub served him for bed, local boy-scouts were helping him with food and clothing. 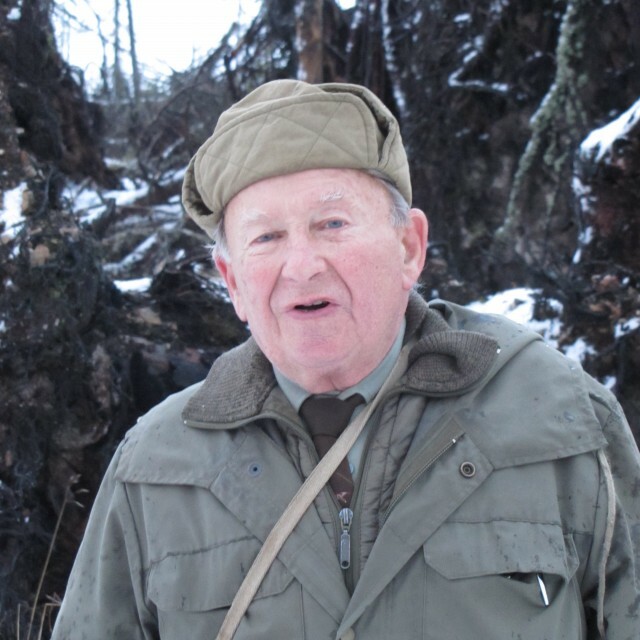 He witnessed the outbreak of war in Veselí nad Lužnicí, where his aunt invited him on March 15th, 1939. The family reunited only after the assassination of the Reichsprotektor R. Heydrich. They lived together in České Budějovice till the arrest of both his parents in 1944. The father returned from interrogations in December, the mother at the end of the war in May 1945. After the war František Zahrádka became active in the reestablished section of Junák (the boy-scouts) in České Budějovice, where he became a member of the 10th group. After the coup d´état in February 1948, while he was finishing his radio mechanic studies, he came to a decision to actively participate in the scouts´ resistance against the recently established communist regime. They were printing pamphlets, publishing and distributing the ´Za Pravdu,´ (For the Truth) magazine. In 1949 Zahrádka led his first group of boy-scouts over the border to Bavaria. During one of the illegal border crossings he was contacted by the American CIC. They agreed on networking and establishing contacts between officers of the Czechoslovak army. During the total of four illegal crossings, František led about 11 persons over the border. He was arrested by officers of the Czech intelligence on September 3rd, 1949. The main trial in the State Court in Prague took place on December 8th and 9th, 1949. Among the other defendants were for instance Sylvester Müller or Václav Bárta, an air force lieutenant who was had been handing over secret military documents. Zahrádka was sentenced for high treason and espionage to 20 years of heavy jail, to a fine of 20,000 Kčs, loss of civil rights for 10 years and to close confinement quarterly. A week after the trial he was transported by train to the Plzeň-Bory prison, where he was placed in a solitary B cell. After two years, weighing only 45 kilograms, Zahrádka was deemed fit to work in uranium mines and on November 6th, 1951 he was escorted to labour camp Nikolaj in Jáchymov. At first he was assigned to assist with breaking the ore in mine Eduard. On July 17th, 1952 he left Nikolaj and was transferred to camp Vykmanov II. For two years he worked there on the much feared ore-sorting line. 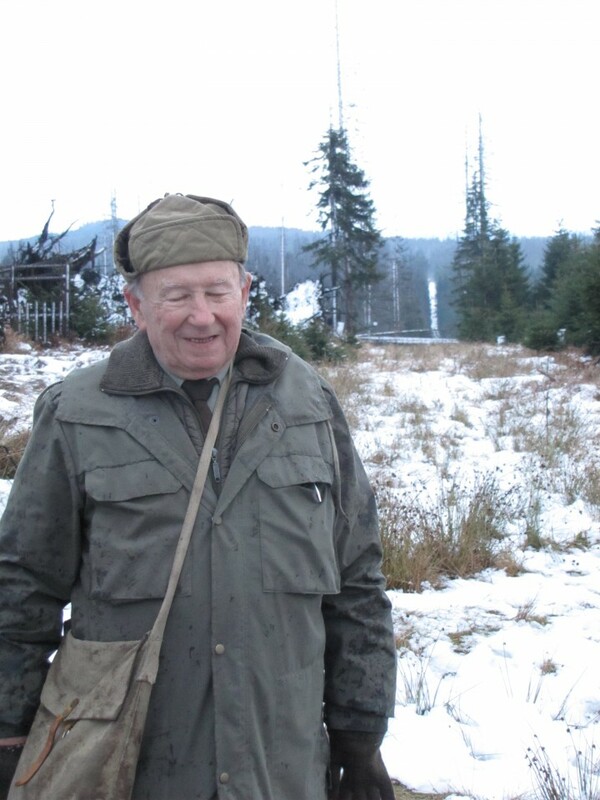 In winter of 1956 he went to another uranium mining labor camp, this time the Vojna camp in the Příbram region. He was interned there from January 6th, 1956 to March 3rd, 1957, when he was transferred to a nearby camp of Bytíz. There he worked at breaking the ore again. Immediately after his arrival to the Vojna camp, he was punished by 40 days in a correction cell, allegedly for a presumed preparation of escape. During the imprisonment in Vojna his mother died, and shortly after, while he was in Bytíz, his father also passed away. In Bytíz, Zahrádka still worked at breaking the rock, but later, owing to the help of Dr. Každan, he was assigned to work on the surface and gradually could also start working as an electrician, which was his original profession. He was not released in the general amnesty of 1960, but from then on he was allowed at least spent more and more time doing his electrician's job. Thanks to this he was eventually transferred to the Technical Department of the Ministry of Interior in Prague-Pankrác on March 3rd, 1961, and he could continue with his profession and work on quality improvement projects there. František Zahrádka was finally released on September 3rd, 1962. He had nowhere to return. Therefore he began to work as an electrician in the uranium mines in Příbram, where he remained till his retirement in 1981. A joyful occasion came in April 1966, when he married Marie Voldřichová. This woman, ´one in a million,´ as he likes to call her, has been his faithful wife for 33 years till her death. Like him, she loved sports, and they would go sailing on a yacht together, go cross-country skiing in their beloved Šumava mountains or around the Tok, highest peak of the nearby Brdské lesy. Unfortunately, they were not blessed with children. In 1968, František Zahrádka actively participated in the founding of K 231 in Příbram. Together with the social democrat František Harlas they initiated the opening meeting, where they also invited persons like general Paleček or Ota Rambousek. František Harlas then became the chairman of the Příbram chapter of K 231, and Zahrádka became a secretary. With the same zeal he also helped found the local chapter of the Confederation of Political Prisoners in 1990. He was also one of its most active members, and he was elected the chairman from the very beginning. Together with Dr. Jiří Málek they contributed to the opening of a unique exhibition of the Museum of the Third Resistance Movement and the Memorial to the Victims of Communism in Vojna near Příbram. For his life-long stance, František Zahrádka was awarded several decorations, and in 2007 President Václav Klaus decorated him with the Order of T. G. Masaryk. Rejštejn is a town in the Klatovy region, located close to gold panning sites on the Otava River. From here courier and people smuggler, František Zahrádka, used to walk along the Otava River towards Přední and Zadní Paště, Stodůlky, Velký Bor, and Poledník. He was, was with the people to whom he helped to flee across the border during two crossings in the summer of 1949, following an old smuggling road.